Off Commercial Road in Seaford Meadows is a beautiful park that connects with the Onkaparinga River. 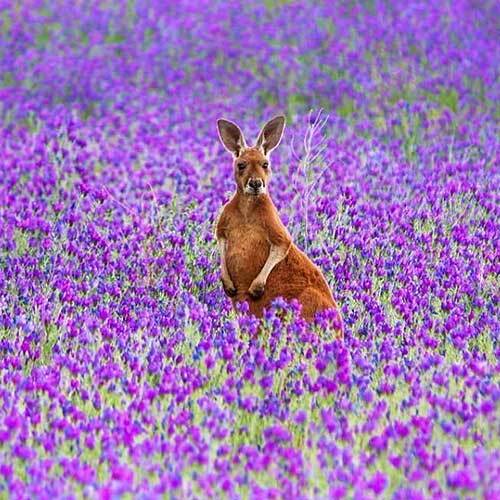 This field and woodland has not just wild kangaroos, but something that is now world-wide famous…. Gary the Goat! 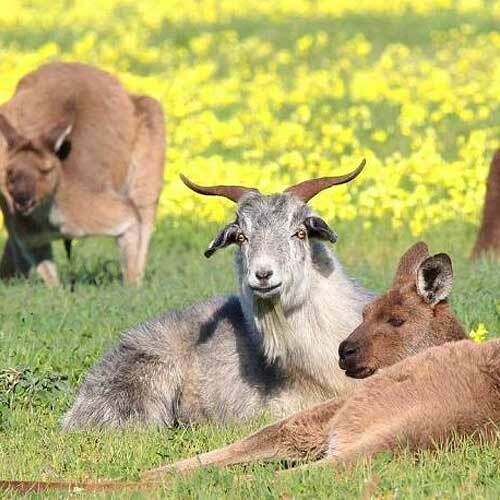 Gary the Goat is a goat that lives with these wild kangaroos. He’s a local celebrity and can be seen chilling with his mates. This place is gorgeous and a highly recommended walk with the family. Photo by Roger Foster. Yellow-footed rock wallaby, emus, wild this and wild that, and of course kangaroos. The rugged outback haven called Flinders Ranges is a top location for spotting wildlife and is also a completely insane adventure waiting to happen. 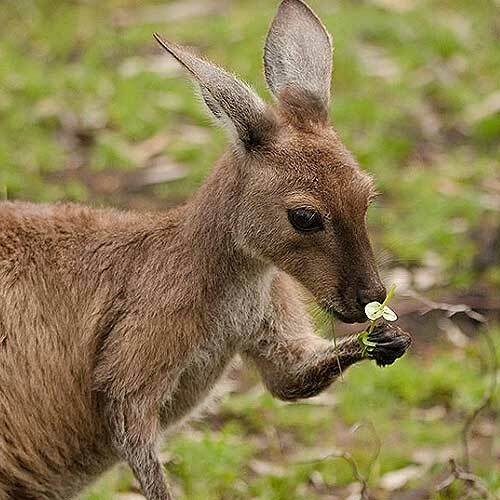 This gigantic national park has all the kangaroos and wallaby’s you could wish for. It’s a great place for walks, but remember to pack sunscreen, you know what, pack double the sunscreen you’re thinking. Photo by Jacqui Barker Photography. 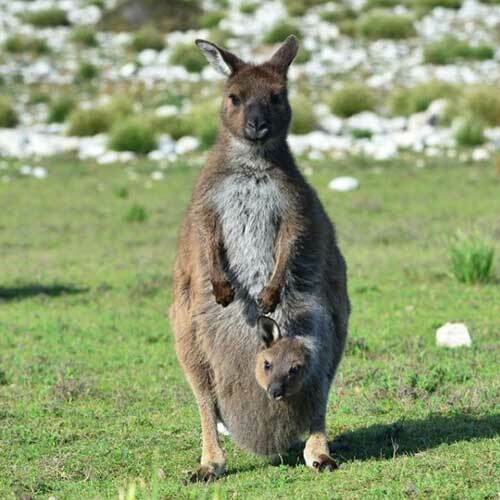 If you’re not up for long walks to spot a kangaroo then don’t worry! 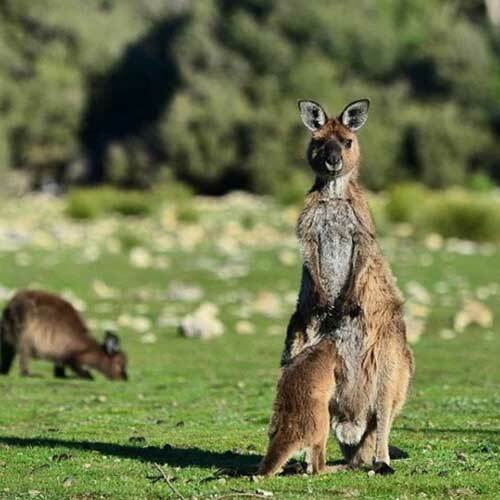 The open-range wildlife park; Urimbirra Wildlife Park, is the perfect place to see kangaroos south of Adelaide. 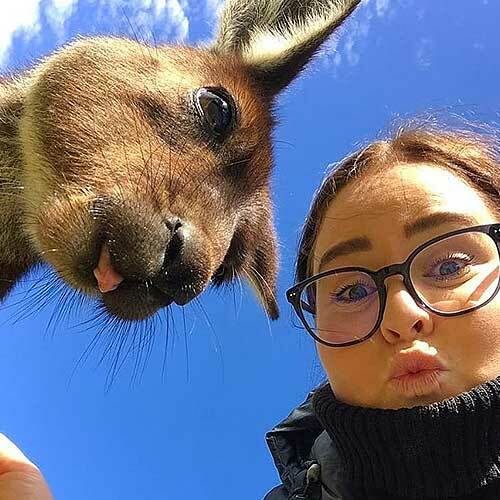 Urimbirra has kangaroos that jump around freely, and the best part is you can feed them! These guys love your attention and always ready to eat some Roo Food (only $1 at entrance!) You can also pet a koala, hold a snake and see dozens of other native Australian animals. Feed an emu, see the beautiful cassowary and see the mighty dingo. Remember to post on Instagram and use #urimbirrawildlifepark . Photo by Alanah Sage. Another great location for wild kangaroos is Belair National Park! This 10/10 bushland is 25 minutes from Adelaide City Centre and is a great place to take the kids! Tennis courts, picnic benches, amazing hikes, fantastic short walks and plenty of wildlife. 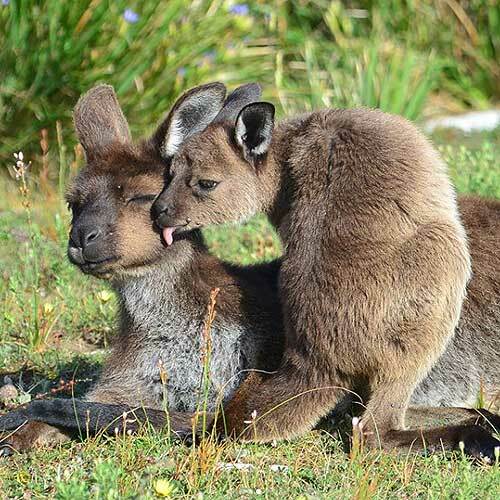 Wild emus and wild kangaroos can be seen in the park and there are more koalas then you could dream up! I once saw 23 koalas on a hike there last year! It’sn amazing place that is deserving of your picnic next weekend. Photo by Deb Alcock.